The one-time Moseley School of Art has been given the green light to prepare a £1.5million bid for funding that will transform the Grade II* listed building in Balsall Heath into a vibrant centre enjoyed and valued by the whole community. At times it seemed the building would not survive. It has been on the English Heritage at Risk Register for the past 18 years and has only been able to host activities and meetings thanks to the determination of its owners, the Moseley Muslim Community Association, to keep the doors open and the events running for local people while carrying out the much needed maintenance and repairs. Their hard work has been rewarded with an initial grant of £154,000 that means the association can draw up its detailed plans to save the prominent Victorian building and make sure it can offer up-to-date facilities for the many groups and organisations that flourish in the local community. The future transformation envisages a ground floor gallery to exhibit for the work of local artists; a permanent display charting the history of the building; space for drawing classes, community-led events and workshops. A sprung floor will be installed making dance classes and performances a real possibility. Flexible space on the first floor will provide office accommodation for local small and medium sized businesses. An existing first floor classroom will continue to be used for learning and will be upgraded so it can also be used for seminars and public meetings. The planned display of the building’s history will also showcase the experiences of many local groups from the diverse Balsall Heath community that have met there over the years. The Moseley building was opened in 1901 and ran as an art school for 76 years. 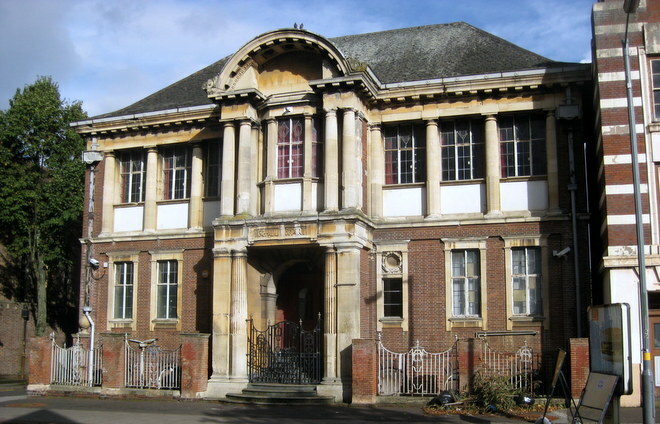 The arts and crafts-style building was the first purpose-built art school in the country having been created as a branch of the Birmingham School of Art. The Moseley school’s alumni include Peter Phillips, one of the founders of the Pop Art scene in the 1960s, and musicians Ali Campbell of UB40 and Christine McVie, one of the founders of Fleetwood Mac. For almost 30 years, Moseley Muslim Community Association has been at the heart of the local community and continues to provide important services such as educational, recreational and welfare facilities to the community at large.